Today ISD Scotland published figures on the bowel cancer screening programme uptake. The latest figures show 56.4% of those eligible for screening took the test between November 2014 and October 2016, below the national target of 60%. The proportion has dropped slightly from the 57.5% recorded in the two-year period of November 2013 to October 2015. Uptake was lower in the most deprived parts of the country, at just 43.4% compared to 65.7% in the most affluent areas. All adults aged 50-74 are invited to take part in bowel screening every two years in Scotland, with those aged over 74 able to opt in. “It is disappointing to see a decline in participation in bowel screening in Scotland. We’re concerned that there are some groups of people that are less likely to take part in the screening test than others, such as people living in deprived areas. “Later this year, NHS Scotland will introduce a new screening test, faecal immunochemical test (FIT), which will help alleviate some of these problems as it’s proven to increase uptake, particularly in those that have previously not completed the test and those from the most and least deprived population groups. On a local level, Bowel Cancer UK volunteers deliver talks in communities to stress the importance of taking part in screening, these talks also cover symptoms and how to lower your risk of getting bowel cancer. Last year we reached over 2,000 people in Scotland with these messages. Bowel cancer is the third most common cancer in Scotland. Every year more than 3,700 people are diagnosed with bowel cancer in Scotland and around 1,500 people die from the disease. However bowel cancer is treatable and curable especially if diagnosed early. 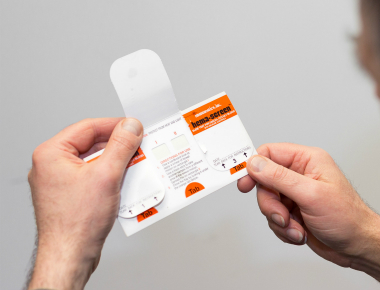 It’s predicted that even using the current test, the screening programme will save over 2,000 lives each year by 2025.